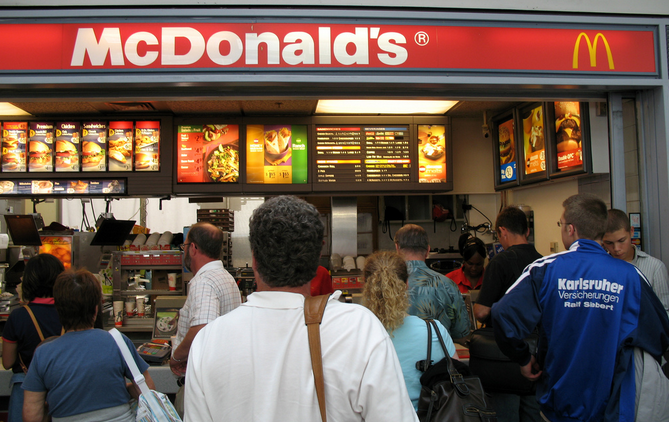 Report: McDonald’s Testing Order-Ahead And Payment App, But Do We Really Need It? If you just can’t stomach the idea of waiting in line at McDonald’s during the lunch rush, the fast food joint has some (maybe) good news for you. It’s reportedly testing a super (not so) secret order-ahead and payment app. According to a report from Business Insider, about 22 McDonald’s locations in the Columbus, GA, area are testing the new order-ahead and mobile payment app. 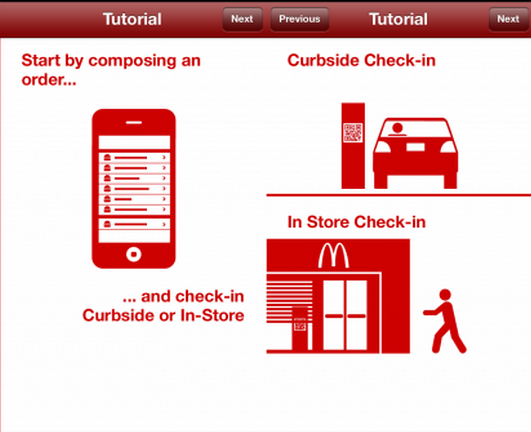 The McD Ordering app allows customers to place an order by smartphone before arriving at the restaurant. Upon arrival, the hungry patron scans a QR code located either at curbside pick-up or at the front door, at which time the credit or debit card linked to their account is charged. The phone then displays an order number and the customer waits. Wait, what? You still have to wait? Shocking, we know. Sure, you don’t necessarily have to talk to anyone or fully interact with McDonald’s employees, but really, what’s the point of this app? We already have the drive thru. For example, you rolled out of bed and decided you just couldn’t go on without an Egg McMuffin, so you head on over the local McDonald’s. Since you just rolled out of bed you decide to do that order-ahead, pick-up at the curb option. There might be fewer people gawking at your bed-head, but someone still has to deliver you food, right? That’s pretty much the same number of people you’re going to see at the drive-thru window. Or, let’s see, you’re in a rush and don’t feel like waiting in the lunch-time rush line. You walk in, scan the QR code, your food probably won’t just magically appear (although, that might be cool). Other people are still going to be ahead of you waiting for the order they placed five minutes ago. Also, if you’re in a hurry and trying to cut down on time at the restaurant, wouldn’t searching for a QR code be counterintuitive? And if you’re in such a hurry to get your food, would the app entice customers to order while driving to the restaurant, because that would be dangerous. Someone in the higher echelons of McDonald’s tells Business Insider the real purpose of the app is to streamline the customer experience by allowing diners to save customized orders and skip drive-thru and in-store lines. That’s all well and good, but if you’re placing a customized order won’t that take longer anyway? Not to mention the fact that others are still going to be in line waiting to pick up their orders. We could continue coming up with scenarios in which the McD Ordering app doesn’t actually seem to make things any easier, but that’s probably futile since the service is already getting good reviews – from one manager, anyway. The manager of a Georgia restaurant testing the system says about 10 people use the app each day. “We haven’t really advertised it yet, but once we do it’s going to get big,” he tells Business Insider. Previously, McDonald’s has used mobile ordering and payment apps in foreign markets. The newest state-side venture, comes after several other fast-food or quick-service chains began experimenting with the option. Back in March, Starbucks announced it was “actively working” on a mobile ordering function on its app. At the time, we laid out the pros and cons of such a service. The McD Ordering app is currently available in the app store. Although, if you don’t live in Georgia, we’re not sure how good it will do you. Will A Toastier Bun Make You Want To Eat A McDonald’s Burger?